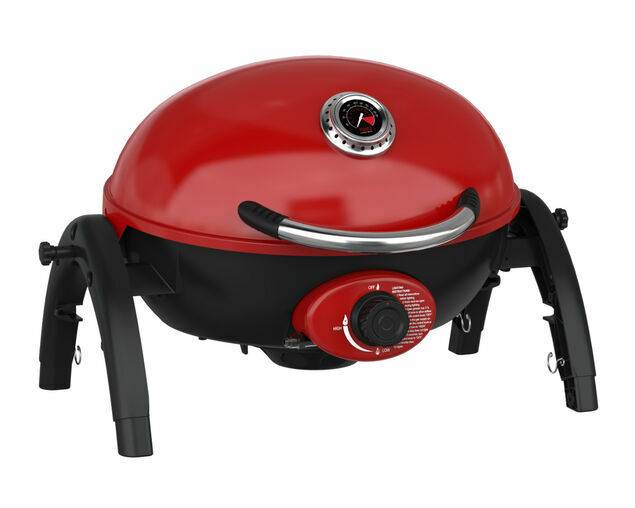 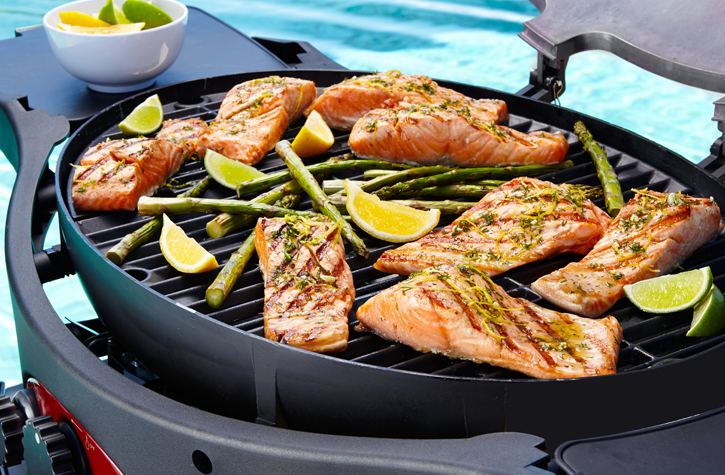 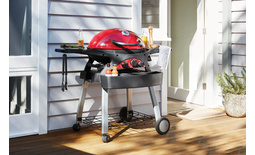 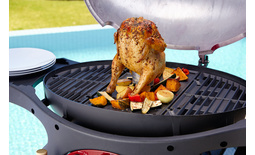 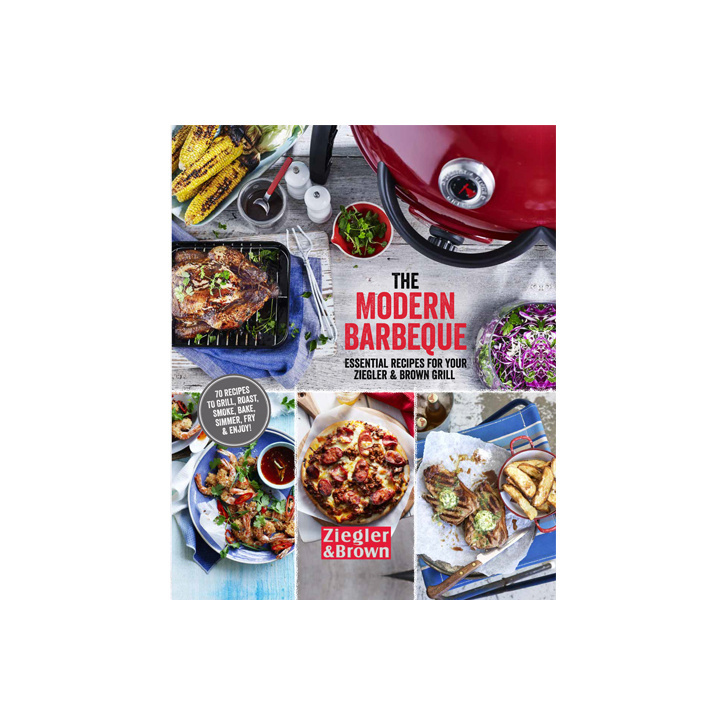 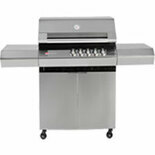 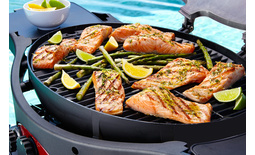 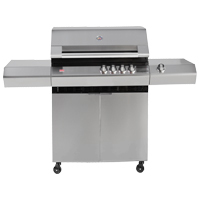 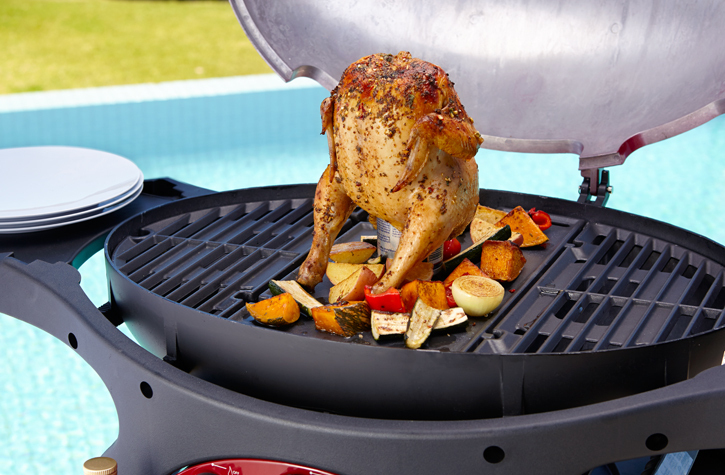 The Triple Grill is the complete barbeque system featuring three individual burners for so many cooking options. 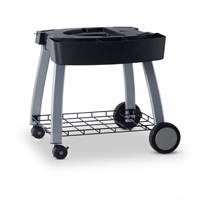 Unrivalled for quality, versatility and power, The Ziegler & Brown Triple Grill on mobile cart will change the way you barbeque! 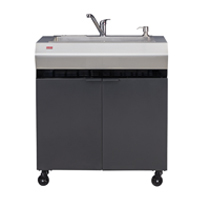 Designed to connect directly to your Natural Gas mains, you never have to worry about gas refills again. 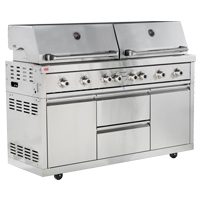 Featuring three stainless steel burners, each with their own heat zone, this outstanding performer also offers unprecedented cooking capacity. 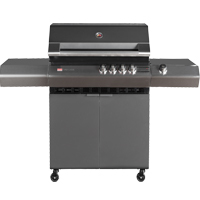 You can fire up all three burners to easily cater for a crowd; or simply use one or two burners for more intimate occasions. 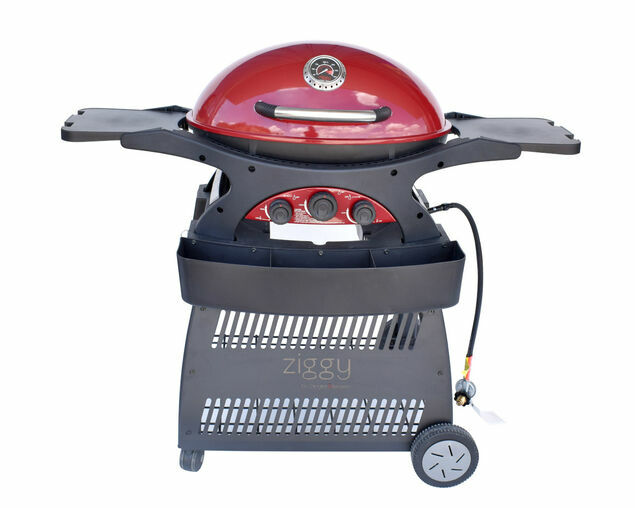 Ziggy’s signature flame thrower ignition lights first time, every time. 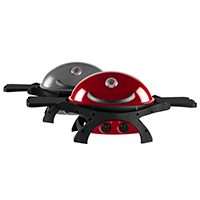 With two or more burners alight, if either goes out, the other will automatically re-light it. 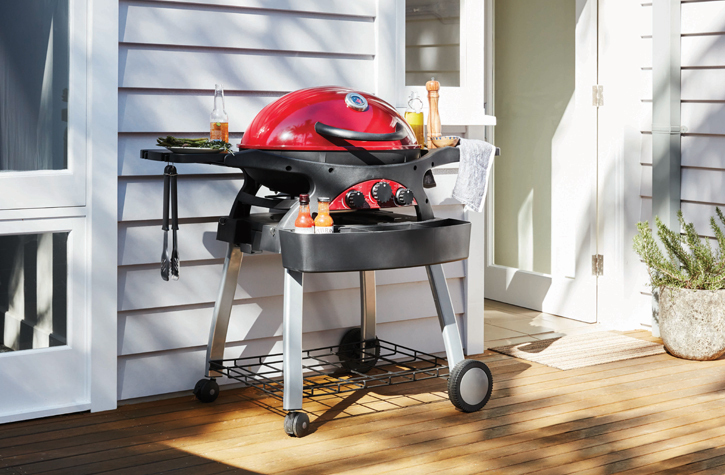 Triple the grills equals triple the versatility, thanks to some clever optional accessories. 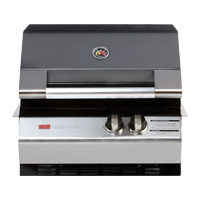 Replace a side grill with the reversible hotplate and use the smooth side for a fry-up brekky of pancakes, eggs and bacon; then the griddle side for a lunch of steak and seafood. 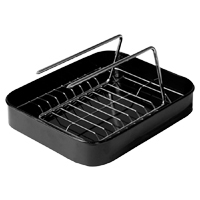 Drop the reversible trivet in place of the middle grill as a support for the Ziegler & Brown wok – perfect for fragrant stir-fry dishes or garlic prawns. 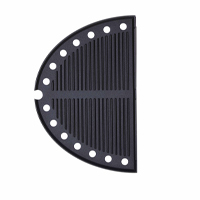 Turn the trivet over and it becomes a raised support for convection baking on the Ziegler & Brown pizza stone. 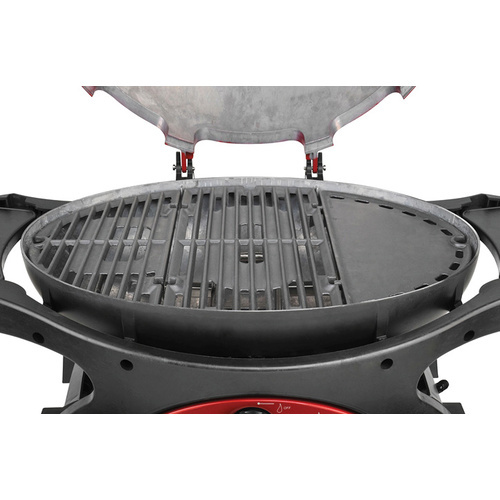 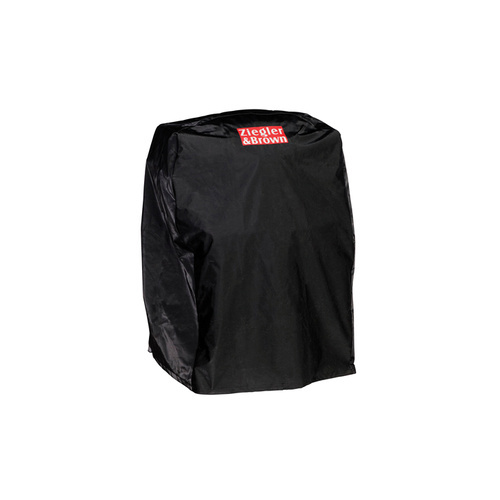 For even more versatility, the high-domed hood can be used up or down depending on whether you’re grilling up a gourmet feast of surf and turf or slow roasting an extra-large turkey. 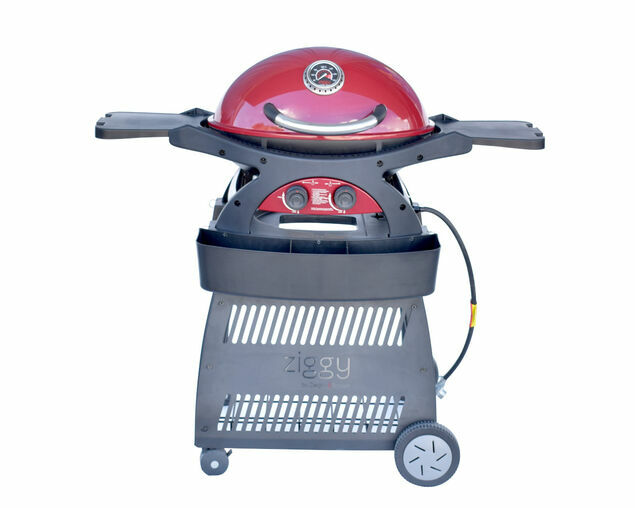 Designed for both style and durability, Big Ziggy’s sleek lines and modern colours are pleasing to the eye; whilst the rust-free die-cast aluminium hood and firebox mean you can leave this BBQ outside and it will keep looking great year after year. 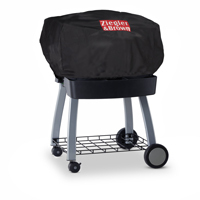 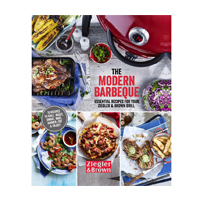 Beautifully designed, the Ziegler & Brown Triple Grill will strike you as the most complete BBQ system available.